Your Guest List & Invitation Tips! Choosing the guest list for your wedding can be a task fraught with stress and drama. Who gets final say on numbers? Do you have to invite children? What about long lost relatives we never see? Will my tattooed, punk rock friends get on with my much more conservative family? How about just inviting some people for the evening? Will people be offended if they’re not included in the whole day? Are we allowing +1s? There are so many questions and many, many concerns surrounding who to have (and not have) at your wedding. In fact I’m sure a lot of you are now starting to see the benefits of eloping! The short answer to all those questions is that you should invite who you want to, but unfortunately weddings are never as simple as that. It may well be ‘your big day’ but there are other people’s feelings to consider too, like your parents. As I mentioned when we discussed the budget, they have probably been looking forward to this day since you were born and will want to be involved in the plans. You have to remember that not too long ago a wedding was pretty much the parents’ party that they threw to celebrate their daughter getting married. A lot of the major decisions (such as the guest list) for their own weddings would have been made by their parents, so don’t seem too surprised if they want some input. The way we got around this for our wedding was that we actually had two celebrations. 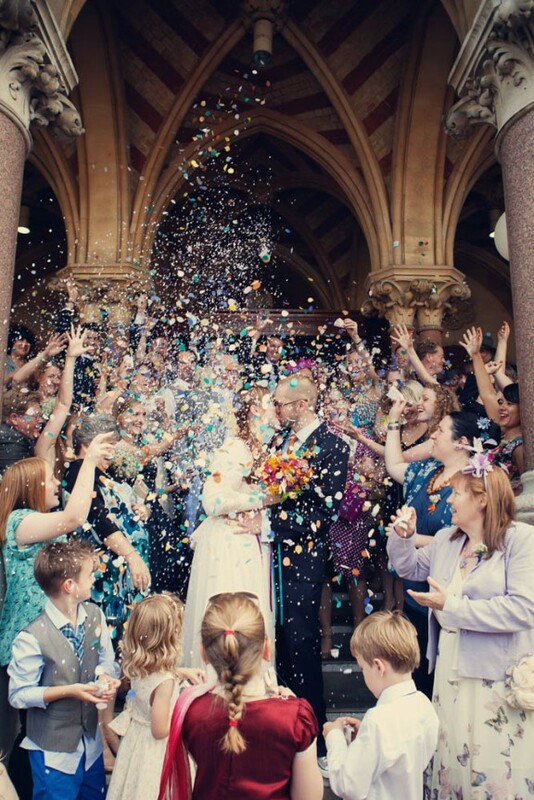 The first was the main wedding where we invited our closest family and friends (which was still about 120 people!) and when we returned from our honeymoon my parent’s threw a second wedding party for all their friends in their back garden. It was actually a great idea. I got to wear my dress again, my dad did his speech for a second time and we cut another cake. In many ways we all enjoyed it a lot more than our actual wedding day because it was so much more laid back. So just how do you start to compile a list of wedding guests? Well, my advice would be to sit down and write down everyone you’d like to invite – friends, family, co-workers, everyone. Get your fiancé and both sets of parents to do the same. Then split the master list into two – an A-list and a back up B-list for if you have any extra space or someone can’t make it. The final number will usually be down to how many you can afford to feed and how many your venue actually holds. Having a B-list might seem slightly harsh, but it’s perfectly acceptable behaviour! You just have to be a little bit sneaky about it. Send out those A-list invites as soon as possible (2-3 months in advance with an RSVP date of at least a month) then, if someone can’t make it, you have plenty of time to invite someone from the B-list without it looking too suspicious. Make sure you get some blank invitations made on which you can handwrite people’s names if they’re a late addition. You don’t want to have to go back to your stationery designer a month before your wedding and ask for a whole new set of printed invites! Another big conundrum is dealing with people who assume that they’re allowed to bring a +1 or their children. The number one rule of invitation etiquette is that if someone’s name isn’t on the invite, then they’re not invited to the wedding! Sounds straight-forward enough but there will always be people who just assume their new girlfriend or their rug-rats are invited too. 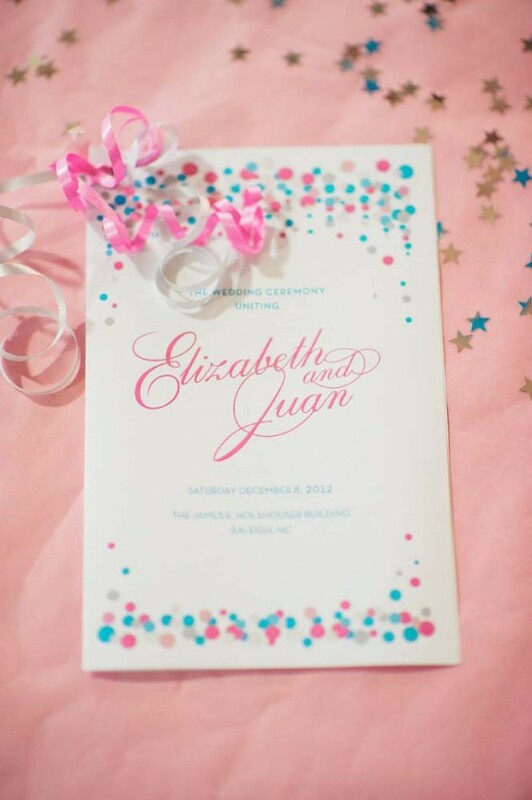 Rather than emblazing “no children allowed!” in big bold letters on your invites, a softer approach might be to include an additional information card which mentions things like directions, accommodation options and info about your gift registry. Somewhere on there you can also mention that due to space limitations the invite is extended only to the named addressee. You might want to call up anyone that you suspect might have an issue with this and explain it to them over the phone as well. Once you’ve decided on your guest list comes the task of sending invitations. 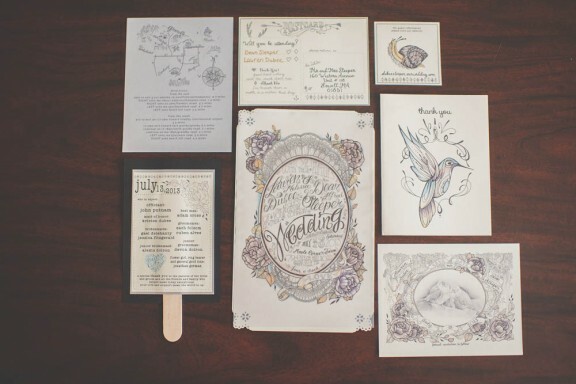 These days there are SO MANY options when it comes to wedding stationery that it can be a little overwhelming. The old cliché that your wedding invitations set the tone of your day is true though so if you’re stuck for ideas, think about your wedding theme or what feeling you want to convey to your guests when they’re first presented with something to do with your wedding. Pin some invites from wedding blogs and magazines that you like and show these to your stationer or use them as a starting point for your DIY invites. As a side note, a good stationery designer should be able to come up with something that has the feel of the ones you’re inspired by without shamelessly ripping off someone else’s design. I personally wouldn’t recommend working with someone who is happy to just copy someone else’s work. Finally comes the minefield that is invitation wording etiquette. Luckily these days things can be a little more informal without it being seen as strange. The traditional way to word a wedding invitation would be from the bride’s parents (“Mr and Mr Smith request the honour of your presence at the marriage of their daughter, Sarah, to Mr Mark Jones etc”) but obviously this goes out of the window if any parents are divorced, deceased or if the couple are paying for the wedding themselves. 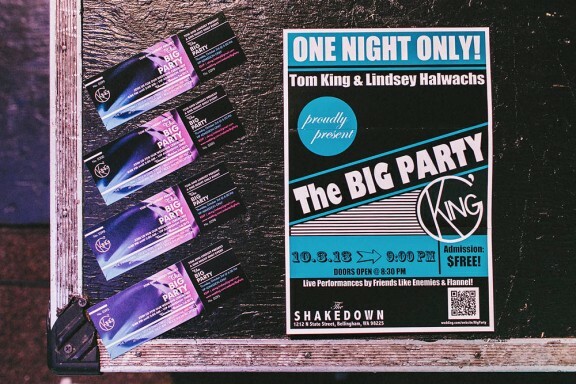 For some great examples of non-traditional invitation wording check out Invitation Consultants. Managing your guest list can be a bit of a headache, but the sooner you start, the easier it will be. So grab a notebook and pen and start scribbling down the names of those people that you really want to celebrate with and take it from there. Enjoy!